Running on empty! 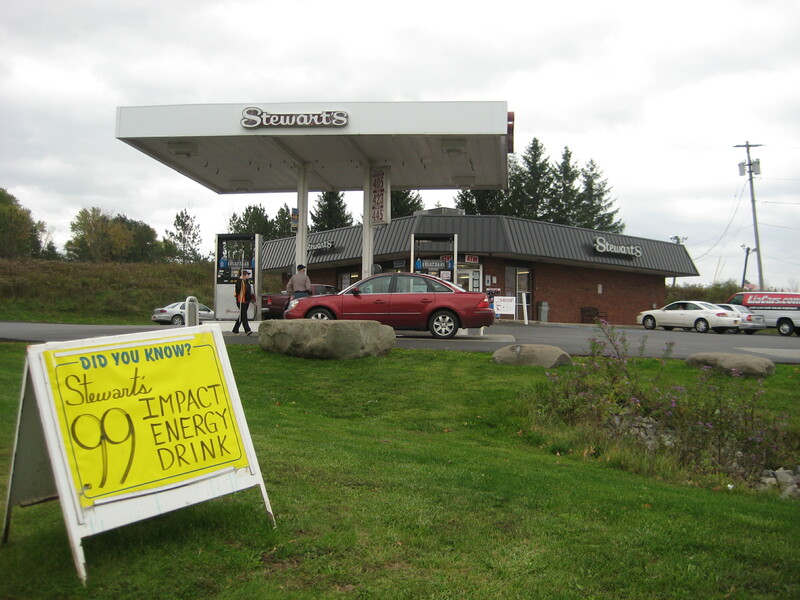 Pull into Stewart’s Quik-Stop—gotta refuel. Gas up, and go inside for a fast coffee and doughnut or candy bar—anything sweet. Energy for the long trip. Got a lot of miles to go. At least I don’t have to make it all the way to Mexico. We’ve all heard the story of the Incredible Journey—the migration of the monarch butterflies, more than 2,000 miles to their overwintering spot in Mexico. It’s easy to say—2,000 miles—but when you’re talking about a wingspan of about four inches, it’s just really unbelievable. How many wing-flaps is it to Mexico? And of course what fuels all those wing-flaps is sugar. Not the bright orange energy drink, but the nectar found in flowers. Nectar is hi-impact energy, for sure–not just sugar, but amino acids, vitamins, nutrients for the long haul. But what flowers are in bloom now, in mid-October? 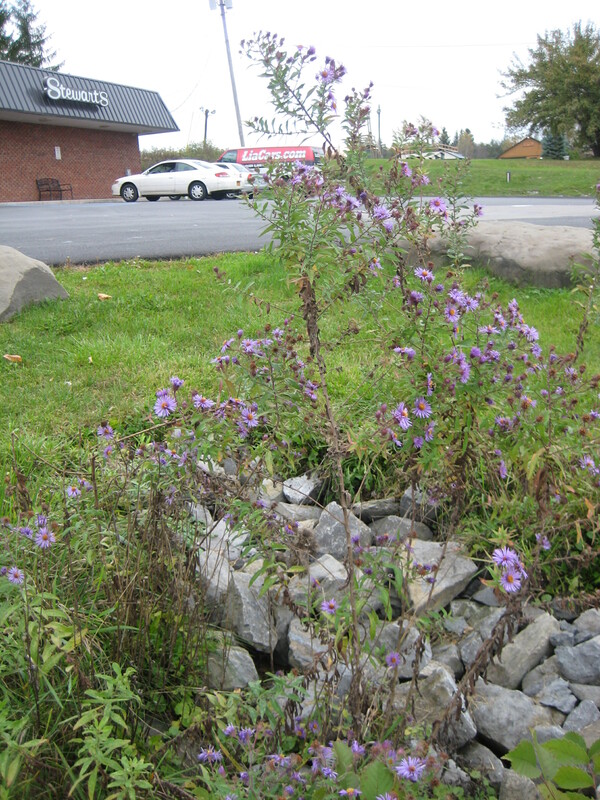 I’ve heard that in the Appalachians, asters are known as “farewell-summer.” That’s because they’re the very last flowers to bloom before the snow flies. Usually I spot the first asters in late August, and it’s like seeing a back-to-school sale in the mall—summer’s over for sure. The little white asters are the first to pop up. 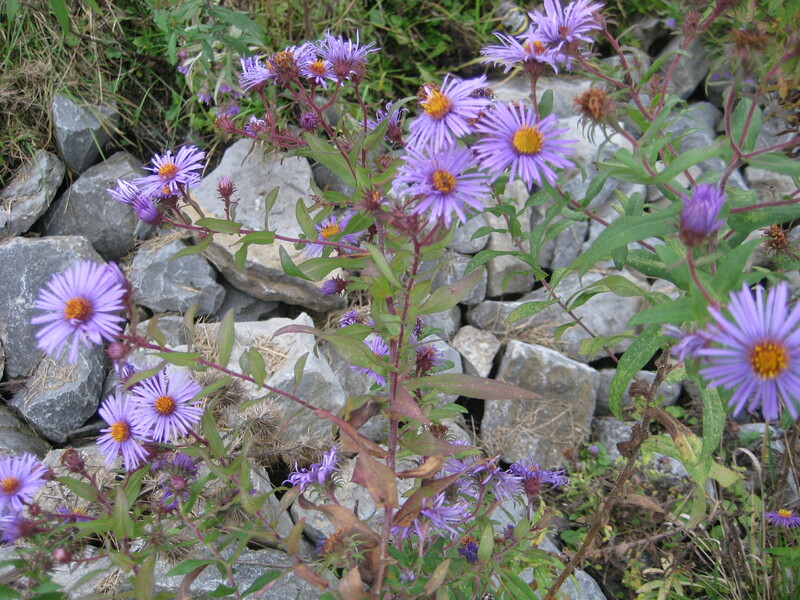 But you know it’s really fall when the king shows up—the royal purple New England asters . They’re distinctive—there’s nothing else that deep purple, with the golden crown in the middle. There are a lot of cultivated varieties you can find in nurseries, but nothing is as majestic as the tall wild ones. New England asters are rich in nectar. Bees love them, of course, and there are hundreds of other species of insects that feed on them. 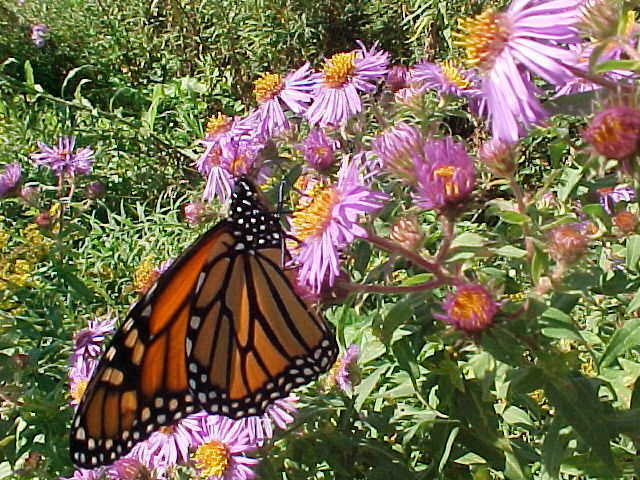 But they’re particularly important for the late-migrating Monarchs who desperately need a last-ditch refueling stop. If it weren’t for little unmowed spots like this one—in parking lots and Quik-Stops all across America—the Monarchs might never make it to the climates where flowers bloom all year. 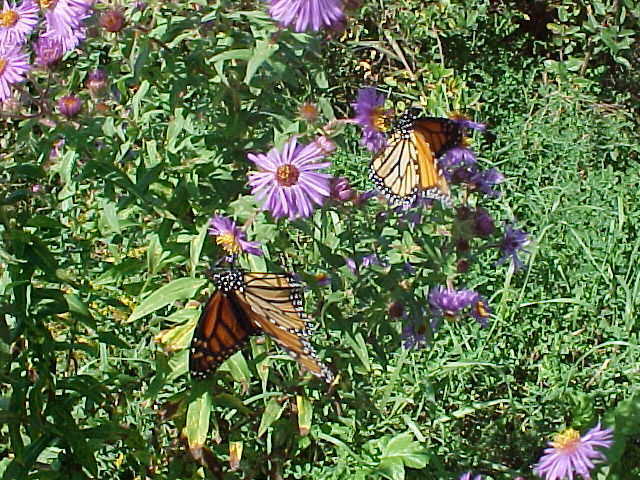 The Monarchs are fluttering their way down to Mexico, one parking lot at a time. Thanks to George Steele for monarch photos.